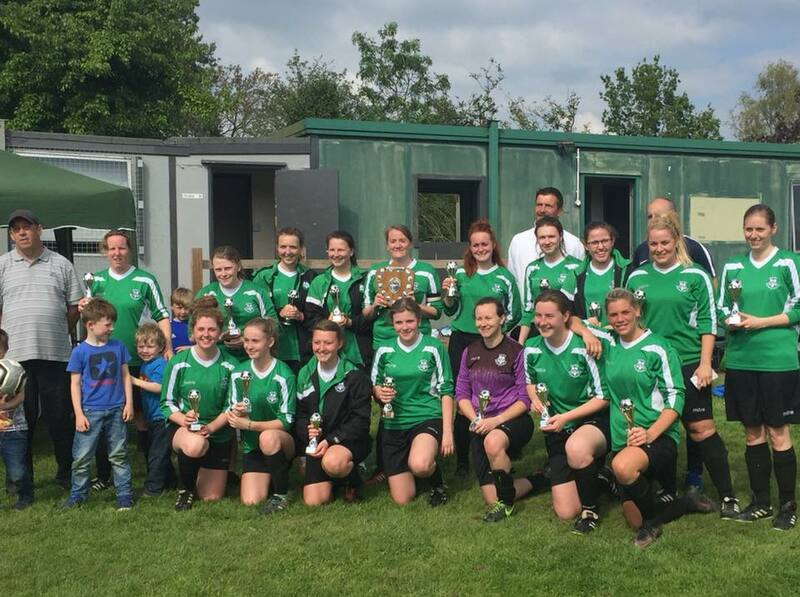 East Bergholt United Ladies have done it completed the Double, League and Cup Winners in the Suffolk Women’s Division and going the entire season unbeaten along the way. Knew a point in their final league game of the season at home to Walsham Le Willows Ladies would be enough after their title rivals lost in midweek beaten at home by Leiston St Margarets who themselves playing their last game of the season have had a solid campaign securing a mid-table finish. 4th placed Walsham Le Willows no longer able to catch East Bergholt, 2nd placed Bacton United Ladies could pose a threat to the title if they didn’t get the job done at home themselves. Annie Northwood giving East Bergholt a 1-0 half-time lead a brace from Cara Savage setting up the celebrations in the 2nd half as East Bergholt won the game 3-1 to become Champions. A successful season for East Bergholt who have brought several young players up through their side and will continue to do so. Congratulations to East Bergholt United Ladies on completing the League and Cup double this season. Congratulations too, to Bacton United Ladies who have secured runners-up spot with a huge win in their final game of the season away to Ipswich Athletic Ladies. Lois Balfour netting 5 goals in the game. Rebecca White and Francesca Rainbird with a brace each, Courtney Hutchinson on the scoresheet too in a 10-0. The outcome of an abandoned game to be decided, but it’s all over in Suffolk for another season. This entry was posted in Suffolk Women's Division, The Round-Up and tagged Suffolk Women's Division, The Round-Up on May 15, 2018 by WFEast.